While Valentine’s Day is over and done with, many of those lovable feelings, leftover chocolates, and some-what fresh flowers carry over to today and into FADA’s latest blog post. While Valentine’s Day often entails a routine of affections, this post both serves to celebrate amour and introduce FADA’s new Pinterest Page. While Valentine’s Day is over and done with, many of those lovable feelings, leftover chocolates, and some-what fresh flowers carry over to today and into FADA’s latest blog post. While Valentine’s Day often entails a routine of affections, this post both serves to celebrate amour and introduce FADA’s new Pinterest Page. 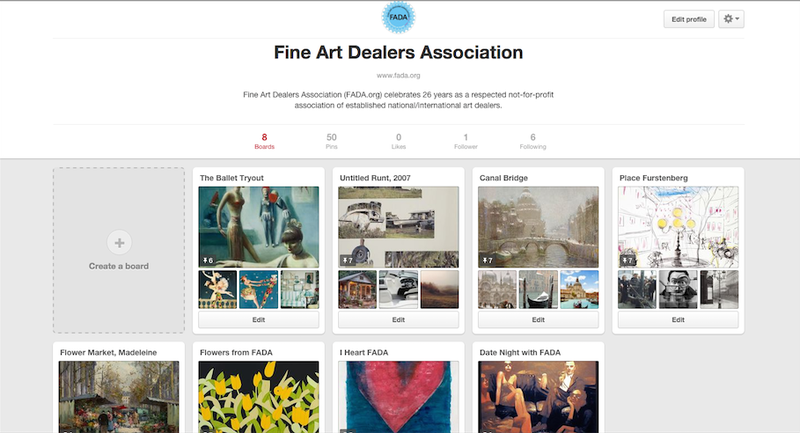 Pinterest’s curating capabilities mirror the similar intentions of art curation. 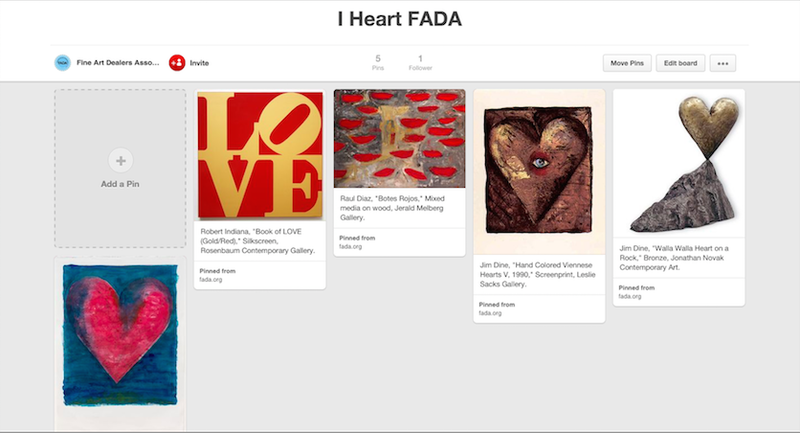 FADA’s Pinterst page, which will be used to deconstruct works of art from the FADA inventory and relate them to popular “pins” also allows for the curation of specific themes relating FADA galleries’ collections to Valentine’s Day. 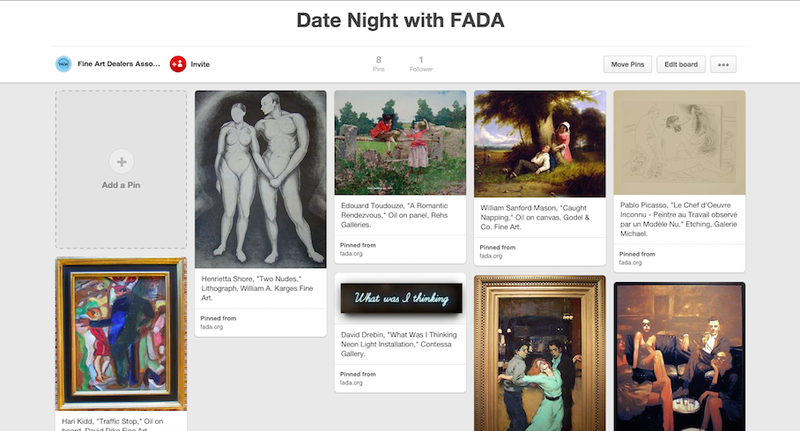 Browse our page and boards, Flowers from FADA, I Heart FADA, and Date Night with FADA and see how relationships emerge between artworks from different historical genres. The language of love is know to all, principles easily translatable to works of art.